I created this dainty heart shaped leaf pendant and added a patina finish to enhance the vein pattern. The pendant measures approx 3/8" across at its widest point by 9/16" long. It hangs from an 18" chain by a wire wrapped bale, and hangs approx 7/8" from the top of the bale to the bottom of the pendant. 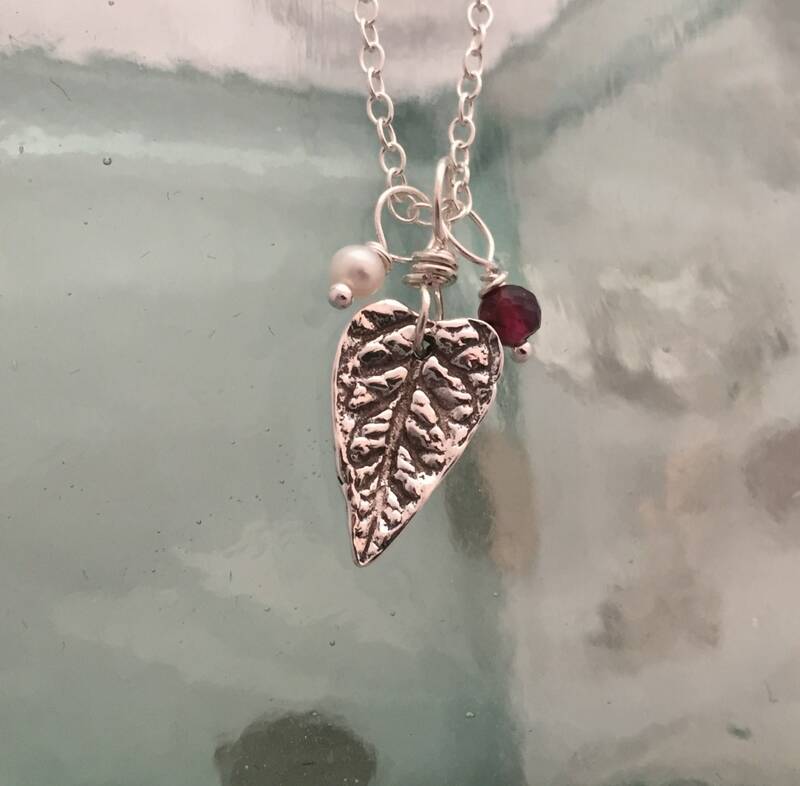 Hanging next to the pendant are one freshwater pearl and one garnet bead, both wire wrapped. The pendant, chain, and wire used in this necklace are all sterling silver. 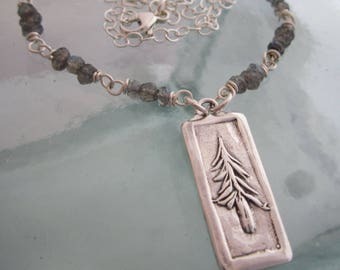 If you would prefer a different length chain or different stone dangles please contact me to discuss your options as I am always happy to customize my pieces to your taste.